Originally built in 1978 by the Sun Shipbuilding Company in Chester Pennsylvania as the TONSINA for the Keystone Shipping Company, the ship is now owned by Seariver Maritime Inc. and named KODIAK.The ship is one of the earliest double hulled crude oil tankers built for the Trans Alaska Pipeline System trade. 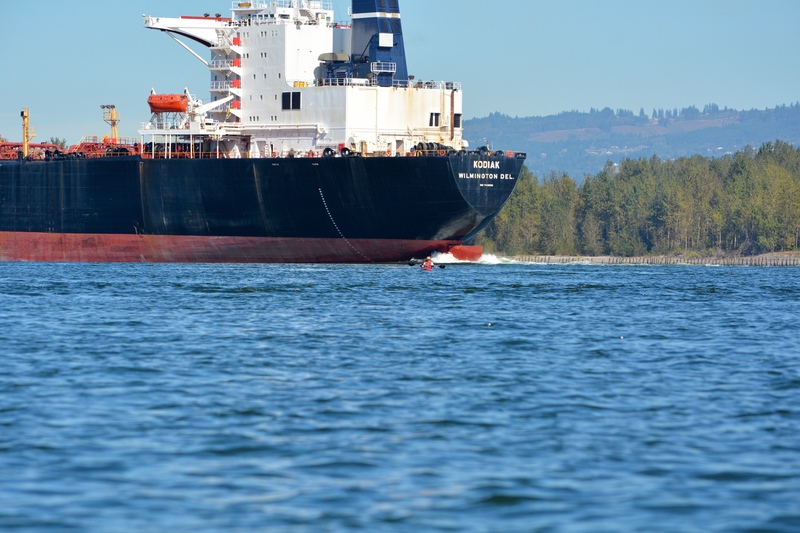 Her keel was laid down in the second year of pipeline construction and she was completed a year after the pipeline opened. Admeasured at 64,329 gross tons and 39,583 net tons, she is capable of carrying 124,643 deadweight tons of crude oil. She has an overall length of 869 feet, a beam of 136 feet and draws 55 feet of water when loaded to her maximum deadweight capacity. Modern kayaks have evolved into specialized types that may be broadly categorized according to their application as sea or touring kayaks, whitewater (or river) kayaks, surf kayaks, racing kayaks, fishing kayaks,and recreational kayaks. In recent decades, kayak design has proliferated to a point where the only broadly accepted denominator for them is their being designed mainly for paddling using a kayak paddle featuring two blades i.e. ‘kayak paddle’. However, even this inclusive definition is being challenged by other means of human powered propulsion, such as foot activated pedal drives combined with rotating or sideways moving propellers, electric motors, and even outboard motors. 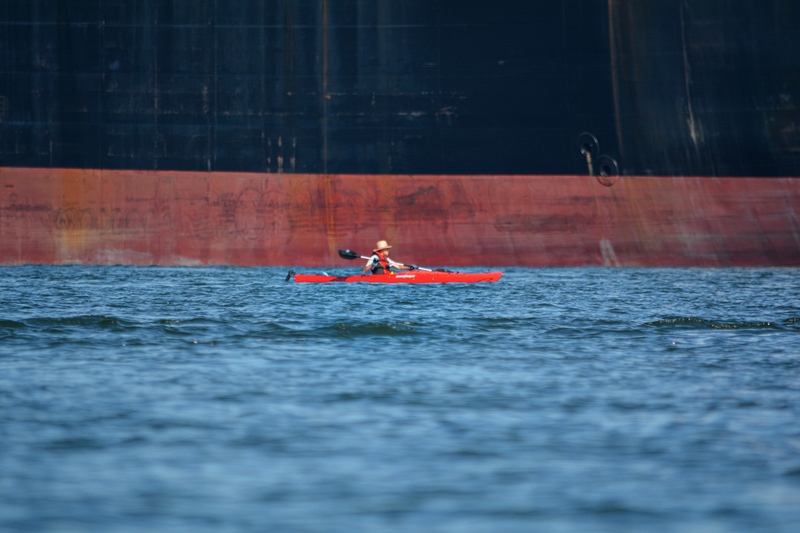 Kayaks are long—19 feet (5.8 m), short—6 feet (1.8 m), wide—42 inches (110 cm), or as narrow as the paddler’s hips. They accommodate 1-3 or more paddlers/riders, and typically weigh between 20 lbs. – 80 lbs. Accentuated with some Zoom, Zoom lens trickery! My apologies Jane I certainly did not mean that may have sounded. I thought you were joking and i joked back regarding your “cross-examination” and that is why I mentioned enormity again. You did not offend me. But i have also learned from this. Please accept my sincere apology. I did not intend to offend you, and will delete the conversation thread. Janet, this was one of those photo challenges I knew exactly which photos to pull out of archives! It was a surprise to see how a safe day on the river could be made to look very dangerous when captured with a zoom lense! Great interpretation of the prompt. I might be a little nervous that close but I wonder if the person wan’t as close as it appeared. No need for worry, Donna. My friend was not as close as a zoom lense makes him appear. 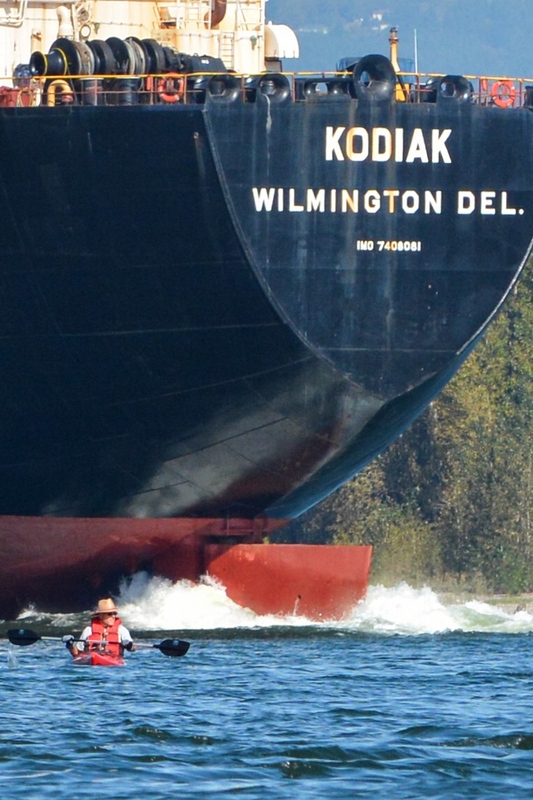 However, as one who was new to kayaking at the time, he gained a new appreciation for the size of the tankers that navigate the Columbia River. Later in the day, our group beached for picnic lunch and watched the container ships go by. 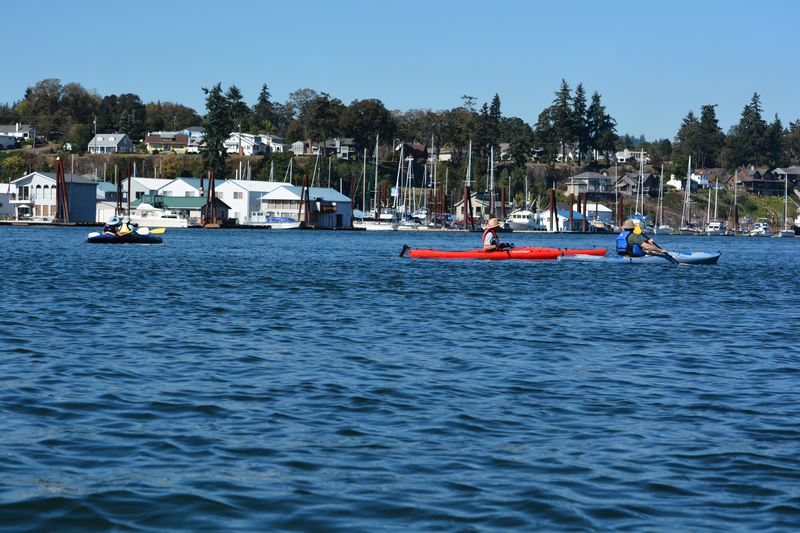 The conversation included a lot of reflection about safe kayaking practices. Once upon a time enormity meant “monstrous wickedness”. Sadly its usage has deteriorated in recent years.